The typical PACS doesn’t always cut it when it comes to nuclear medicine. Mainstream medical imaging technologies have not been designed to handle nuclear medicine’s unique demands, proprietary protocols, or programs, which make them incompatible with radiology PACS. Hospitals nationwide are finding they have to explore new options when it comes to needs such as display functionality to support nuclear medicine studies. Some nuclear medicine departments have invested in pioneering nuclear medicine solutions or interfaced to radiology department PACS, while others prefer an enterprise-wide, integrated solution. Nuclear medicine requires specific display capabilities, such as grayscale or color, functional, quantitative and fusion data. Static displays just won’t do for dynamic nuclear medicine studies, planar gated studies, SPECT, PET or PET/CT. PET/CT image review involves viewing of transaxial, coronal and sagittal and maximum intensity projection (MIP) images. For that, physicians need a separate solution to translate data among different file formats. Nuclear medicine departments across the country have integrated new image management models that facilitate nuclear medicine data flow to benefit department and enterprise workflow. The University of Miami Hospital and Clinics (UMHC) in Miami, Fla., house a total of 120 beds, and conduct approximately 6,000 nuclear medicine procedures each year. UMHC has used Thinking Systems Corp.’s ThinkingPACS for image management in nuclear medicine since 2002. The system includes an MDStation for physicians to perform review of images, quantifications, and image fusion; a QC station for the technologists; and an archive system for archiving all the nuclear medicine images, including SPECT and PET/CT. The ThinkingPACS sends all the images to the radiology RIS-PACS, a GE Healthcare/IDX ImageCast for enterprise-wide access and archival. UMHC has two ADAC Genesys dual-head SPECT cameras, one Philips Medical Systems Skylight dual-head SPECT camera, and a Philips Gemini PET/CT scanner. ThinkingPACS receives the image data from the SPECT cameras and the PET/CT scanner through proprietary and DICOM connectivity for the purpose of processing, quantification, display and review using the MDStation, and also for archiving. UMHC chose ThinkingPACS because it is an open architecture, Windows-based system with a robust clinical software package with “the clinical programs, tools, utilities and all necessary functionality that we need in order to perform our work,” says Mike Georgiou, PhD, assistant professor of Radiology and nuclear medicine physicist at UMHC. The MDStation is used by the nuclear medicine physicians for review of all general nuclear medicine studies (bone, renal, liver/spleen, parathyroid, gastric, lung), SPECT processing and review, quantification for nuclear cardiac studies, and PET/CT fusion for oncology, neurology and cardiology studies. 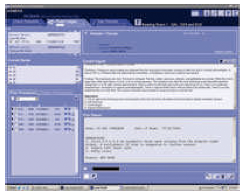 It has all the necessary display/review functions and analysis programs for nuclear medicine studies. For example, the physician has the ability to easily and efficiently manipulate the image data, perform comparisons with current and prior studies, and capture interesting cases for slide presentations, Georgiou says. The technologists use the QC station to check images that have been acquired, and to ensure that the patient demographic information is accurate. Subsequently, the images are shipped to the university GE/IDX PACS for enterprise-wide access. The QC station also makes CDs. Saint Joseph’s Hospital in Marshfield, Wis., stored all nuclear medicine department quality control and patient data on optical disc until December 2004. They knew they needed to change that, says Mike Bull, manager of nuclear medicine, they just needed to figure out how. They also wanted to make sure that their solution would obscure raw data that shouldn’t be seen by physicians. NumaStore from Numa Inc. was the perfect choice, Bull says. The specialized PACS storage and image management system is designed for nuclear medicine data and studies. It offers secure, long-term storage of patient studies acquired over separate visits and the cataloging of those studies. It also supplies efficient retrieval in a way that facilitates and encourages comparative analysis. These abilities encourage a change in the way nuclear medicine is used, from simply a diagnostic snapshot to a long-term care patient management tool. NumaStore receives information, or queries the workstation to get all the data, and stores them on the NumaStore server. Then NumaList — a DICOM modality worklist manager — sends only the screen-saved images to the PACS, which is all the referring physicians need to see. NumaList enables importing of vital hospital information system (HIS) and radiology information system (RIS) information into nuclear medicine DICOM headers. Following this, the patient file can be forwarded on to an imaging workstation or PACS. For image and data storage, NumaStore eliminated the need for manual invention. Previously, if technologists needed to retrieve data, they had to manually locate the optical disc and load it in the drive. “Now, it’s as easy as querying it back from NumaStore to any of our workstations,” Bull says. They also don’t misplace as many studies as they did with optical disc. Now that everything’s automated, all studies get pulled or pushed to NumaStore. While some facilities favor a nuclear medicine department solution for image management, an enterprise solution is the choice of others. 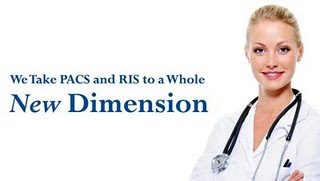 The radiologists at Diagnostic Radiology Consultants (DRC) wanted an enterprise-wide integrated solution to help read and interpret approximately 200,000 cases per year from the 11 facilities that they service across Chattanooga, Tenn., and northern Georgia. For this job, Specialty Networks, LLC was created as the information technology arm of the radiology practice. Specialty Networks is run by DRC, a private practice group of 10 radiologists who review images in nuclear medicine, MR, CT, and ultrasound for facilities that range from a 300-bed community hospital, to a single CT scanner owned by a urology group. Three years ago, Specialty Networks was dealing with three PACS and two RIS platforms, all from different vendors, and each with a separate workstation, logon and password. To improve efficiency, they researched a seamless, integrated solution from one vendor that would keep all their databases in sync, using one logon, one keyboard and one mouse. In 2005, they chose Siemens Medical Solutions syngo Suite to integrate RIS, PACS, post processing and transcription. 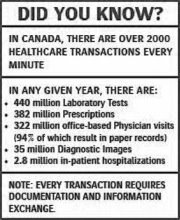 Syngo Workflow manages the exchange and distribution of patient data and images. Syngo Imaging covers the PACS applications for diagnostic preparation, quality assurance and interpretation. Syngo Voice provides voice recognition and transcription. Specialty Networks also chose Siemens’ partner NextGen Healthcare Information Systems to provide its electronic practice management (EPM) solution. In all, Specialty Networks implemented seven workstations at facilities throughout their network. With syngo Suite, dedicated workstations for nuclear medicine imaging aren’t necessary, allowing smoother integration while reading other radiology images such as CT and MR. “We weren’t looking for a specific nuclear medicine solution. What we wanted was the solution that brought nuclear medicine into the normal workflow. The last thing you want as a radiologist is a separate workflow for separate types of exams,” says Jim Busch, MD, CEO of Specialty Networks. The nuclear medicine gamma cameras, including the Siemens’ Biograph 16, Symbia T6, Symbia S, and Orbitor gamma camera, as well as a Philips Forte gamma camera, simply plug into syngo Suite, and transfer images to the PACS, Busch says. The syngo Suite worklist allows radiologists to search for patient images by patient name, medical record number, date, facility, or referring physician. Worklists are organized by priority, need and the radiologist’s physical location, Busch says. 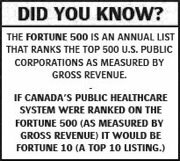 For example, while Busch may be located at Tennessee Imaging, half of the exams could be from another facility 50 miles away. Specialty Networks brought 10 facilities onboard with syngo Suite in about nine months. And the results are impressive: Volume has increased about 15 percent, while workflow efficiency has jumped 27 percent. Report turn-around time also has been cut considerably — dropping to just an hour from 24 hours. Since radiology PACS often struggle to manage nuclear medicine image needs, vendors have come to the table with specific nuclear medicine solutions that can seamlessly relay data to the department or enterprise-wide hospital PACS. Nuclear medicine departments can now provide fast, accurate image interpretation across proprietary vendor image formats while boosting efficiency and workflow. Thinking Systems is an innovative medical software developer and marketer that brings the power of digital technology to advanced clinical, as well as image management applications, creating highly functional and fully automated imaging environments. With a unique vision of comprehensive enterprise-wide digital image workflow, Thinking Systems’ product portfolio supports the most complete spectrum of imaging modalities available today. Providing truly customized implementations, Thinking Systems translates the power of its versatile product portfolio and expertise into highly effective solutions tailor-made for each installation. Founded in 1996, Thinking Systems’ cutting edge ThinkingPACS and ThinkingRIS have been helping prestigious hospitals and freestanding imaging centers, both large and small, enjoy a fully digital environment. To learn more about Thinking Systems, visit www.thinkingsystems.com. 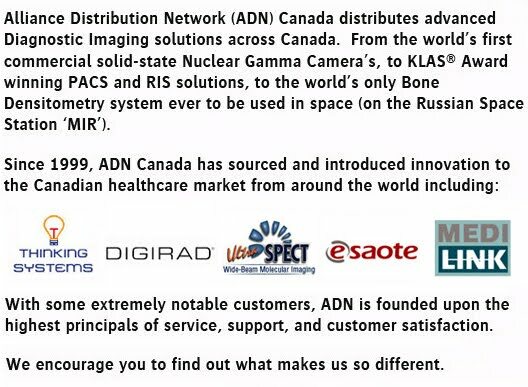 THINKING SYSTEMS solutions are installed at over twenty sites across Canada and are proudly distributed by Alliance Distribution Network (ADN) Canada. For more information please contact your local ADN Canada sales consultant Toll-Free in Canada at 877-434-5311 or e-mail. Note: Any / all product names mentioned in this document may be trademarks or registered trademarks of their respective companies and are hereby acknowledged.